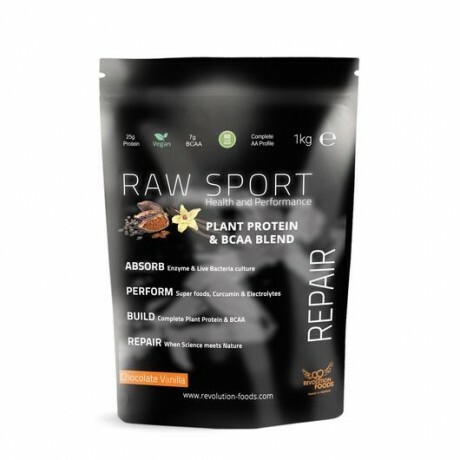 More than the average protein powder, this Raw Sport Protein is a cutting edge product that incorporates the key scientific aspects of optimal recovery and performance. Perfect for anyone wanting to improve athletic performance, maintain muscle or just increase their nutritional intake - plus it tastes great with a vanilla and chocolate flavour. Provides 25g of digestible protein per 30g serving, along with nutrients and superfoods to support muscle repair after any type of physical exertion. How to use: Enjoy one 30g serving per day. For best results mix with oat, almond, coconut, or hemp milk, but can also be mixed with water or added to smoothies. Made from ingredients grown using organic practices which are free from pesticides, herbicides or additives.